I love cookbooks! Even in this day when you can find so many recipes online I still take my cookbooks out and pour over them often. 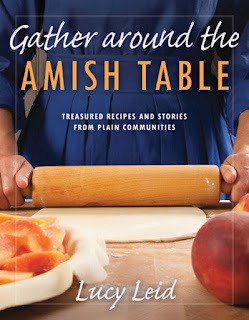 I was delighted to review Gather Around the Amish Table: Treasured Recipes and Stories From Plain Communities by Lucy Leid. This book includes some fabulous recipes but the real treasure is the little stories included with each one. Most of the recipes are straight forward and call for ingredients that are easily found. Occasionally you will find a recipe calling for a 'canned' item - but I think those are few and easily modified. I only wish that each recipe had a picture because I like to see the finished product to make sure mine looks the same. That is my only complaint. 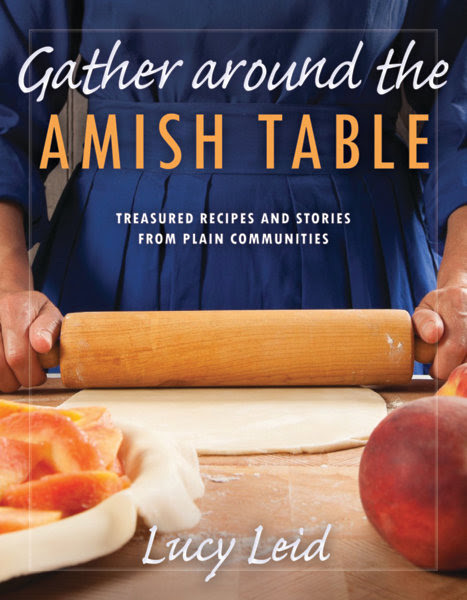 In fact I'm planning on getting this cookbook for my step-mom for Christmas because she loves cookbooks and the Amish community - so I know she will love this book! You can purchase yours at your local bookstore or online at stores like Amazon.